I love advent calendars! We have a variety of advent calendars we put up each year, but the ones that hold little treats are everyone's favorite. This year I made a quick (one hour) and easy Christmas tree advent calendar to add to the mix. A bunch of tiny Christmas tree grouped together have a big impact. The fun colors and patterns from the Home for the Holidays Collection are sure to brighten any home. Underneath each Christmas tree I have hidden treats for the kids to fight over discover each day leading up to Christmas. Yum! 1. Cut circles of various sizes from patterned paper. My circles ranged anywhere from 7.5" to 11.5". 2. Cut circles into quarters. 4. Roll quarters into cones, securing the edges with adhesive. 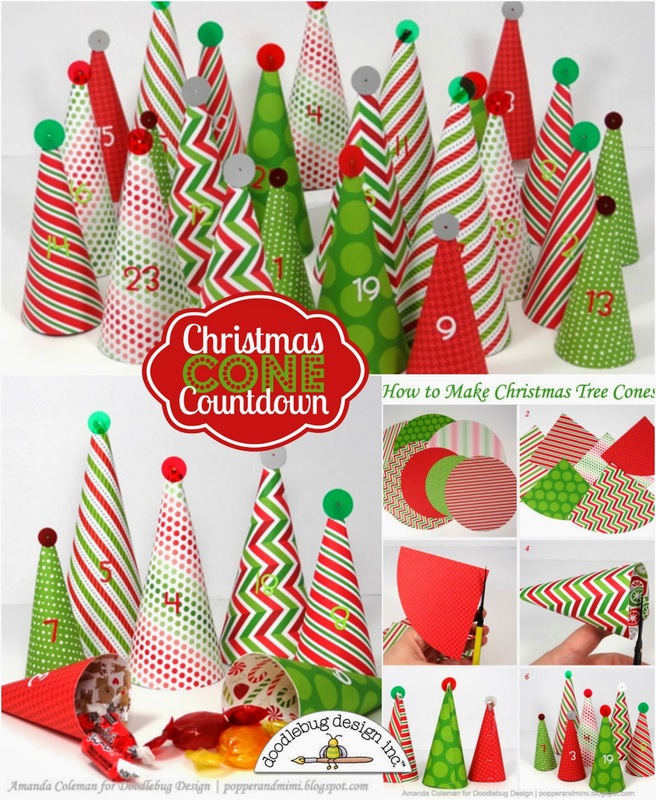 Trim any excess paper from the bottom of the cone. 5. Staple the seams of each cone. 6. 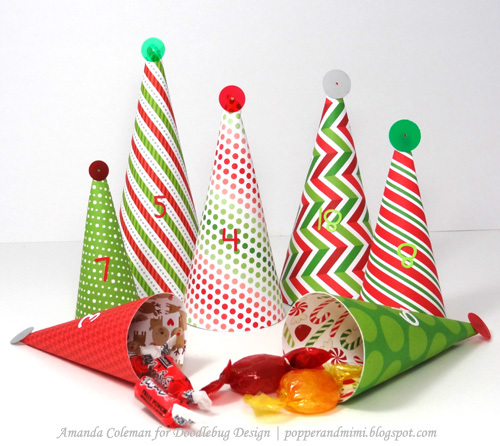 Top cones with round sequins and adhere number stickers. 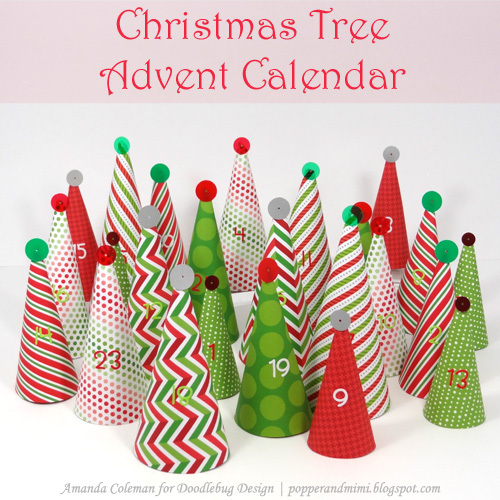 If you make your own Christmas tree advent calendar, we'd love for you to share on the Doodlebug Facebook page! 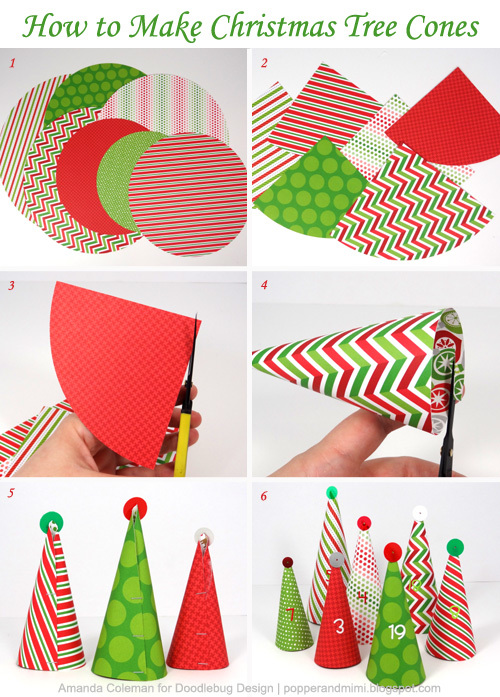 Wow so easy and adorable. Thanks for the tutorial. So cute, thanks for the tutorial.